I not exactly one for this kind of thing, but a certain recurring issue has caught my attention, as well as that of others, and I feel the need to voice my concern regarding this campus, race relations, and our campus’ public stance on said relations – and hopefully nip any growing tension in the bud. That being said, this is not another article claiming a supposed shocking truth pertaining to racism, a progressive façade, or – dare I say – microaggressions amongst students on this campus. Nor do I intend to write anything inflammatory. My primary interest is to start a dialogue on the things that cause us to brush against the uncomfortable. While I sat on one of the purple couches in the living room munching on my blueberry scone(s), I became acutely aware of the convoluted nature of racial dialogue on this campus- a dialogue rooted in southern culture, our liberal arts label, and the pride we take in such a label. I also like to add that I am by no means saying that EVERYONE IS SECRETLY HOMOPHOBIC. WAKE UP SHEEPLE. I’ve heard the oft-recited “We teach how to think, not what to think” many a time at Millsaps, yet we assume once everyone is aware of how to think, we should all reach the same conclusions. This assumption does not curb prejudiced outlooks; it curbs the conversations that curb prejudiced outlooks. Everyone possesses some opinion regarding the racial and social dialogue here. Whether that includes that students are too quick to get offended, others cannot understand due to their inability to empathize, Greek organizations do little in the way of diversity, or that student organizations centered on social issues push too aggressively, it matters little due to the fact nobody wants to contribute within the racial and social dialogue itself. The incident that provoked my attention occurred as a reaction to a lecture about Islam in the Freshmen Power (Heritage) course. Rumors circulated about the removal of a certain professor and the student association from campus, concern arose for the growing social tension, others felt a response was unwarranted and reactionary, and here I am. Im not someone who takes stock in rumors but the fact they exist worries me and speaks about the state of our campus. I promptly brought the issue to our Student Body Association Senate and received a mixed, but mostly proactive response. I was approached afterwards to be careful with “polarizing” issues, which begs the question as to how we students proudly wear our label yet quietly acknowledge the polarizing effect a conversation about prejudice can have upon us. Did we get Doublethink-ed? I would like to believe there was a legitimate complaint or concern regarding the lecture, as well as for the subsequent tearing down of the Black Student Union’s posters for the aptly titled Black Cele-Gay-Tion. However, anyone pointing out these quiet actions carries a fear of appearing reactionary to the silent majority or as a cliché liberal art student seeking another reason to be offended. Our unspoken socially progressive badge is our biggest obstacle in actually achieving that goal for our campus. I find it interesting how quick we are to dismiss the notion that anything is seriously wrong in respect to race relations or social issues on our campus, which explains the upheaval that occurs when someone embarks upon popping our Millsaps bubble. Those who insist our campus meets our expectations are quick to point out the rich diversity our campus has and the widespread acceptance of these groups. However, there is a distinction between multicultural and intercultural communities. An intercultural community is home to interaction and dialogue that broadens our understanding and strengthens bonds between groups rather than just within them. 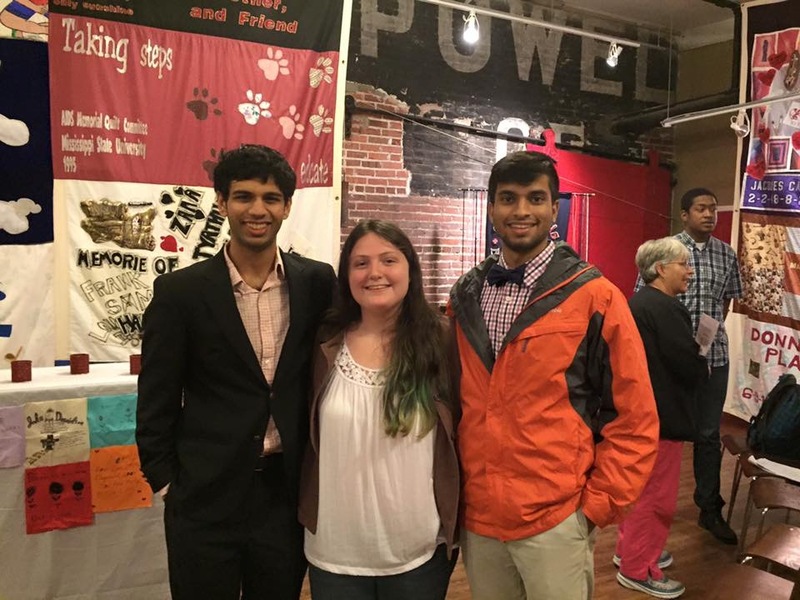 With the exception of a few major events each year, organizations host cultural events the same core along with the members of the particular organization hosting. Can we just start actually talking about this? I mean truly discussing this despite how uncomfortable it may become. We are infinitely grateful for an administration that actively pursues these issues but we students must identify them first. I would like to start by addressing the particular issue I mentioned earlier. I’m the current president of the Muslim Student Association and I wanted to reach out to those who have taken issue with our presence on campus. Let’s talk! Approach me whenever you have time! I’m the Pakistani guy whose shoes are usually untied. We can get together and Ill bring snacks. We can have a round-table discussion over Kool-Aid or CapriSun if you like. I honestly would love to have a sincere dialogue with anyone who has any concern! Just whenever. Regardless, I hope there’s no confusion on where I stand. I’m not furiously condemning our campus or its students to bigot-boulevard or overly-liberal-lane (not that I would be in a position to do so). I would just like to start an inclusive dialogue spanning everyone with every outlook with anything to offer. Can we just hear each other out? I’ll bring the Kool-Aid.